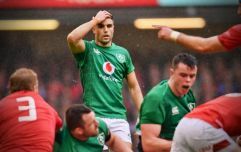 Ulster Rugby and the IRFU released a joint statement on Saturday morning. Ulster Rugby and the IRFU have confirmed that Paddy Jackson and Stuart Olding have had their contracts revoked with immediate effect. A joint statement released on Saturday morning read: “Following a review, conducted in the aftermath of recent court proceedings, the Irish Rugby Football Union and Ulster Rugby have revoked the contracts of Patrick Jackson and Stuart Olding with immediate effect. The IRFU and Ulster Rugby also revealed that Craig Gilroy has been sanctioned following a disciplinary process in relation to WhatsApp messages used as evidence during the trial. Gilroy issued a statement apologising for his behaviour earlier this month. A statement on Gilroy read: "Following a review of a text message sent by Craig Gilroy, the Irish Rugby Football Union and Ulster Rugby have sanctioned him, following a disciplinary process in accordance with the terms of his contract. "Craig will be unavailable for team selection until 26th April 2018." The statement from Ulster Rugby and the IRFU comes after a crowd of around 200 people gathered outside Kingspan Stadium to stage a protest ahead of Ulster’s victory over Ospreys on Friday, their first home game since Jackson and Olding were acquitted of all charges following the conclusion of the trial late last month. The protest was organised by the Belfast Feminist Network and was attended by representatives from a number of women’s groups around the country. 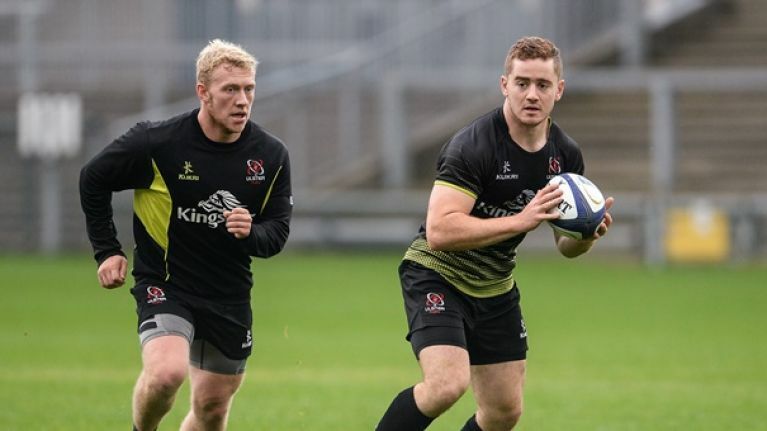 Prior to today’s announcement, Jackson and Olding had been stood down for duty for Ulster and Ireland since charges were brought against them in July 2017.